Home Search Engines Semantic Search SEO Social Media WebMaster Resources 5 Basic But Important SEO Tips For Blogger Blogs! 5 Basic But Important SEO Tips For Blogger Blogs! In this post I am going to give you 5 basic but very important Search Engine Optimizations Tips for your Blogger Blog. These tips will help you to make your blog more search engine friendly. These are the best SEO suggestions for all the bloggers who are running Blogger or Blogspot blog. By using these SEO techniques you will see the increase in Search Engine Traffic of your website. We all know the importance of Search Engines for our blogs. Search Engines are the primary traffic source for all the blogs on the web especially for the new and medium sized blogs. So it is necessary to make your blog search engines friendly. I think most of the bloggers know about these tips but these are very helpful for newbies. 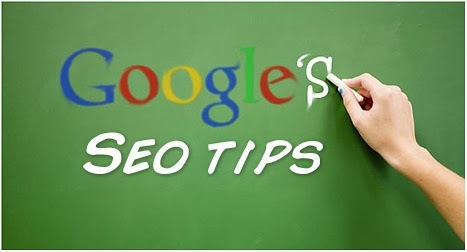 These SEO tips are based on the Google’s SEO suggestions. If you will start using these tips then the chances of increase in your Search Engine Traffic are more. Blogger generates url for all the posts automatically. To make your post SE friendly, it is recommended to use the custom url for every post. Make this url informative and related to post topic. Add nofollow attribute on all the external links from your blog even to your social network profiles. Use the proper labels on all the blog posts. Use maximum 2-3 labels for each post. Add alt attributes on all the images used in your blogger blog. This will increase the traffic from the image search engine. Add that alt attribute which will describe the image properly. Add proper meta tags in your blog. Meta tags are used to provide the information of your blog and post pages to the search engines. So add meta tags for your blog's home page and also add meta description on each blog post. I hope that this information is helpful for you to make your blog search engines friendly. If you want to share your opinions on SEO then you can do this by simply leaving your comments below. Learn How to Add Your Blogger Blog into Google Webmaster Tools? Do you have more amazing facts about Google? How to Submit XML Sitemap of Your Blogger Blog? I am as soon as Consider that Any Change My Blog.